Racism against early Chinese immigrants was blatant and involved physical violence and damage to property. 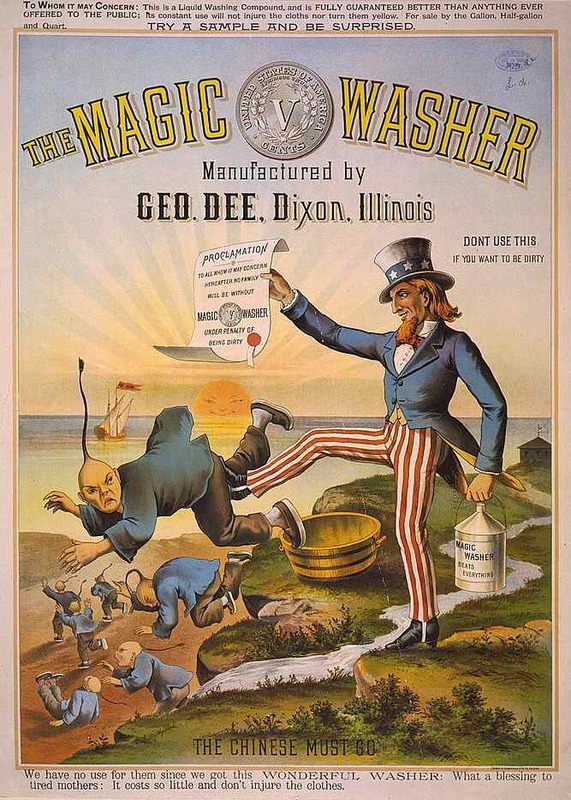 As laundries were the prevalent occupation of Chinese, although not one they assumed by preference, racists used imagery of the helpless laundryman to symbolize all Chinese. The images suggested how Chinese should be treated (viciously) and where they belonged (back in China) as exemplified in an 1880s advertisement for a washing machine manufacturer. In contrast, after Chinese became more accepted in America after W. W. II, racism toward Chinese assumed a latent form disguised through a joking attitude. One example is a advertisement from about the 1950s or 60s for a Hoover washing machine. 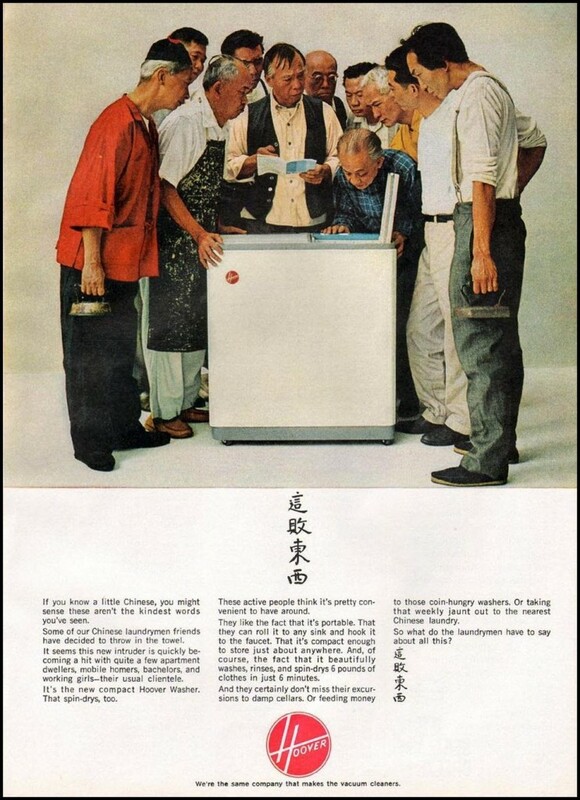 The ad showed a group of befuddled-looking Chinese men surrounding the Hoover machine. 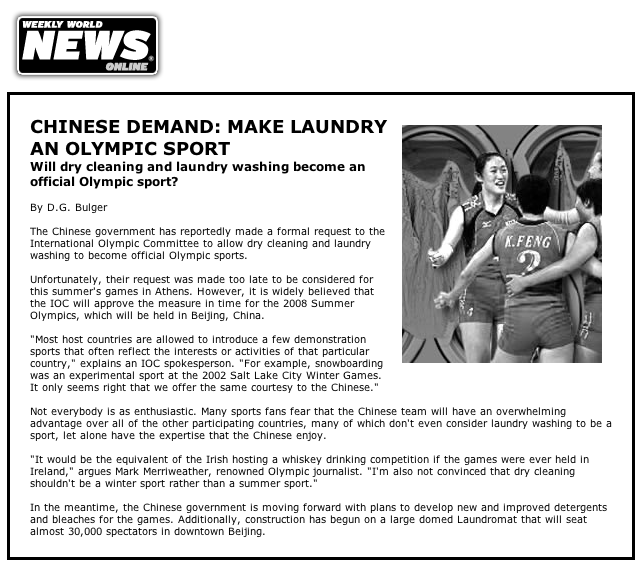 It implicitly acknowledges Chinese laundry expertise, but he ad triumphantly claims that the machine has defeated the Chinese in their own domain. Old stereotypes, like old soldiers, never die; but unlike old soldiers, they don’t even seem to fade away.